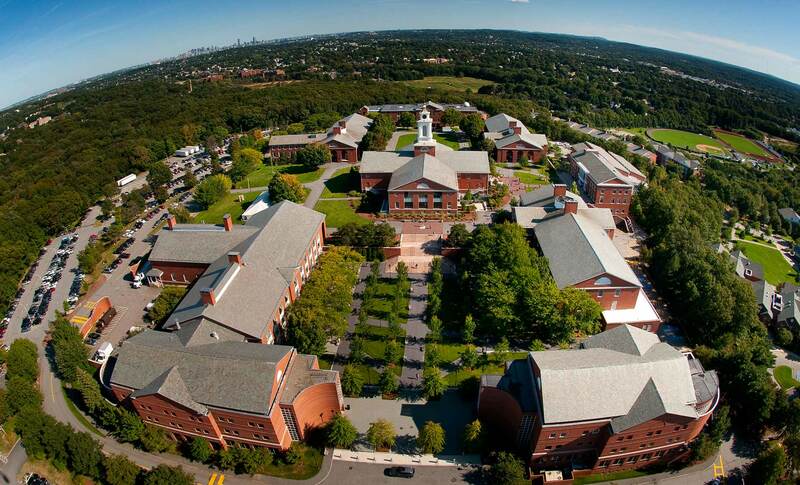 Aerial photograph of Bentley University located in Waltham MA. The image is shot from a helicopter hand holding the camera using a high shutter speed to avoid blurring. The photograph is used for advertising and brochure.